At Van Every Family Chiropractic Center we love when patients share with us their feedback and comments after chiropractic care. Please read our patient testimonials below to see what other people have achieved through their tailored treatment plans with us. Share your stories too! Click here to send us your feedback so that we can help to spread the word about the benefits of natural Van Every Family Chiropractic Center care. 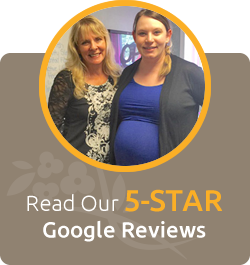 We have had only the best experience at van every family chiropractic! I started going to van every after attending the baby bumps and beer bellies event that helped inform me about the benefits of chiropractic during pregnancy and for children. The adjustments really helped me to be more comfortable during my pregnancy. I just had my second daughter two weeks ago and she has already had three adjustments. My oldest daughter is three and has also received several adjustments. My husband started getting adjustments about a month ago and it has made a world of difference for him he is feeling better already. Dr Anna and Dr Ashley along with all of the staff at van every make you feel like family. I would highly recommend anyone to go to van every for their chiropractic care. In the summer of 2011 I was coaching my daughter’s softball team and we were having practice, I was playing catch with my daughter and she looked at me and asked me if I was OK. I told her I was fine, one of the other coaches came over and looked at me and said that my face was drooping on one side and my eye on that side was not blinking. We drove home from practice and my wife took me to Urgent Care where they diagnosed me with Bells Palsy and gave me medication to help it. Luckily I had no pain from it except for the one eye that was dry because it would not blink. My family doctor confirmed the Bells Palsy diagnosis. I couldn’t get into see a specialist for three weeks. My wife suggested that I go to Van Every Chiropractic and have Dr Saylor look at me. My wife and kids were patients of Dr Saylor but I was not at the time. Dr Saylor adjusted me and had me come back for 3 treatments in the first week. My first adjustment was within 24 hours of the onset and I suffered very little. By the time I got in to the specialist in 3 weeks my symptoms were all gone. I’ve been a patient at Van Every Chiropractic ever since. Success story!!!! My daughter heard a news story on Monday that really upset her. The news was on in my room and loud enough that she could hear it in her bathroom. She started sobbing. From Monday -Friday when we came to the office to be adjusted she was clung to me. Scared and wouldn’t go upstairs, downstairs, or sleep without me. She was adjusted Friday night, came home, ate dinner and went to bed. Not only did she stay upstairs but she slept in her bed alone! Yahoo! She seems back to normal today also! She has slept in her room since! Thank you!!!!! As my 2.5 year old girls leave the office today after an adjustment and say “Momma, I love Dr. Saylor. She so nice. She so beautiful ” (repeatedly stated by one little one that has been experiencing “BIG” emotions and fears as of late). I know in my heart we have been served, cared for and I need to be more consistent with our adjustments because Van Every (The doctors and staff) makes a difference in my life and more importantly my daughters!! So Thankful For Finding Van Every Chiropractic! My daughter started with symptoms at 2 weeks old. I was nursing and she would projectile vomit. She had a fever at 5 weeks old. She was diagnosed with asthma. She has severe food allergies. She was chronically constipated. She is a seriously picky eater. She gets motion sick in the car. I did what the doctors told me to do…we pumped her with antibiotics and steroids each time she got sick…we were in a vicious cycle it was too much for her little body! By age 8 she had been on antibiotics so many times I couldn’t count. She was always sick and it seemed like we were always going to the doctors. A friend of mine told me about Van Every (she had been trying to get me to go for a long time). We took the leap and saw Dr. Saylor for our intake. The questions she asked got me thinking and made me sick…but I knew there was a better way. We started seeing Dr. Ashley every week 2-3 times a week. My daughters’ body had shut down, she was no longer fighting anything, she was always in a state of fighting and her body was never rested and ready to fight when she did get sick. After a few months of being adjusted we could see a change. She still gets sick but she fights it, and she is able to fight because her body is resting and working correctly. After 2 years now of being adjusted I have learned many natural ways to boost her immune system when needed. She gets adjusted 2 times a month now and she is so much healthier. She is still a picky eater, she still has asthma and is allergic to foods but her body is healing! My son also started coming to Van Every shortly after my daughter…since we were making the drive! I didn’t have too many concerns about him at the beginning. Dr. Saylor and I were talking and I mentioned that he couldn’t ride a bike yet which was odd for an 11 year-old. Dr. Saylor explained to me about his trunk and instability, it showed in his shoulders and torso. He stands quite tall now and could ride a bike by that next summer! 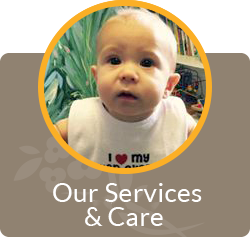 He has had some health issues since starting and the doctors worked with us to find alternatives to all the medicines the pediatrician wanted to prescribe. I myself started coming to Van Every first. I had intense shoulder pain on the inside of my right shoulder blade. I had been through many tests, been to a traditional chiropractor, physical therapy, been to a muscle specialist, and they were about to send me back to physical therapy again. I asked if they had ever heard of KST chiropractic. The OMM doctor told me he had not but it would be worth a try. I started coming to Van Every instead of physical therapy. I had been there, done that with little help. I was having headaches constantly and those in turn affected my mood. I was always grouchy and mean because I hurt. It took some time for the muscles to calm down. I can still feel pain in that area at times but the intensity, severity and frequency have been greatly reduced by chiropractic care. Dr. Ashley can usually tell before I even say anything about how and where it hurts. She will move my arm, back and neck while adjusting. I know if it is flaring up it just needs an adjustment and I am back to feeling great! The doctors are a wealth of knowledge and so open to answering questions. They really listen and understand. Being adjusted is easy and comfortable! The office staff is so friendly and greet you with a warm welcome every time we arrive. They do their best to accommodate appointments and are flexible when we are stuck in traffic. I continue to bring my children and myself from Novi twice a month because I believe in the benefits of chiropractic care and I have seen first hand what it has done for myself and my children. My mom even drives over with us now because she saw first hand the changes we were experiencing! I am so thankful for finding Van Every Chiropractic! I initially started going to Van Every in May of 2018 for back pain and numbness down my left leg. However, they don’t just treat your symptoms, they treat you as a whole. Their initial assessment was impressive and eye opening. Through their treatment I found relief in my back, elimination of the numbness in my leg and a release of anxiety and stress. The day the numbness went away down my leg, I suddenly felt an overwhelming sense of stress relief. To the point I became very emotional. I have found I handle anxiety and stress a lot better and feel like I’m seeing a friend instead of a doctor. My wife also started seeing them for allergies and of course they have helped with more than just that! We cannot say enough about Van Every! I have been going to Van Every Chiropractic sine 2001. Besides my children and grand children, (and OK, the rest of the family), Dr. Saylor is the best person who came into my life. I don’t know where I would be without the support of this doctor, her associates and staff…. They have made my life so much better in so many ways. I love you all!!!!! I Now Can Lift My Son With Ease! My name is Linda, and I have been receiving chiropractic adjustments at Van Every. Chiropractic adjustments have relieved tension throughout my body, and has been keeping me balanced and focused!! I have noticed the following changes – I have been more relaxed, I sleep better, am less stressed and can focus so much better!! I now can lift my son with ease!! The staff is friendly and very helpful!! The Doctors are caring, great and very knowledgeable!! The office is clean, comfortable and welcoming!! Chiropractic care helps in many aspects, not just physically!! My name is Michelle. I am a current patient at Van Every Family Chiropractic Center. During my care here, it has made me less sore and has improved my overall health, including eliminating chronic sinus issues. In addition, I have also noticed I have been more relaxed, I sleep better, focus better, I’m less stressed, I dream more, I’m less moody, and my allergies and sinuses are much more clear! Dr. Ashley is AMAZING and knows just what my body needs! Samantha has the magic massage touch!! And the office staff is super friendly, kind and #1 in the business!! If you ever suffer from chronic pain, chiropractic can alleviate and even eliminate that. The results from KST are heads above any other type of chiropractic treatment!! My name is Bric and I get my routine adjustments after playing sports like lacrosse, and even when I feel sick, or just when something hurts to make me feel better! The staff is super helpful and amazing at everything! The Doctors are soo nice to everyone and the overall atmosphere of the office is very welcoming, warm and amazing!! No matter what you do, Chiropractic care can make you feel better!! Hello! My name is Lisa and I am a patient at Van Every Chiropractic. Chiropractic care has improved many aspects: my body functions, walking, resting, posture and attitude. Changes I have noticed are that I am stronger, more relaxed, more alert, digestion has improved, I am less nervous, I sleep better, my appetite has improved, memory has improved, depression has lifted, anger is better, I focus better, I have less stress, I am less moody, constipation is better, I dream more, as well as my sinuses and allergies being much better!! I have noticed great change with my walking too!! The doctors are AWESOME!! The staff are always AMAZING, friendly, knowledgeable and respectful and the office is always clean and peaceful! One thing I would love for everyone to know is how much chiropractic has changed my life, beginning with the ability to walk!!! My name is Ashleigh and I receive chiropractic adjustments at Van Every Chiropractic Center, to help relieve stress and anxiety. I have noticed I am stronger, more relaxed, my digestion has improved, I am less nervous, less moody and have less stress since getting my adjustments. It has helped with my running, driving and as well as lifting weights. The staff, office and doctors are all extremely kind, welcoming and helpful! One thing I’d have to say about chiropractic is that it really does make a difference to your daily life! Sleeping patterns improve, attitude improves and life over all is so much easier to manage!! My name is Lisa and I am a patient of Van Every Chiropractic. Since receiving adjustments on a regular basis, it has helped me prevent chronic back pain. It has also helped with headaches and sinus issues. I have noticed digestion has improved, I am more relaxed, less stressed and my sinuses are much better!! During my experiences at the office, the staff has always been very welcoming and inviting, the office itself is very welcoming, modern and I love the fact that they plan lots of activities for the community. The doctors are very understanding and caring of their patients. If I could tell someone something about chiropractic it would be to not be afraid to get started with adjustments. People can be skeptical but you will be amazed with the results and how great you feel!! Hello! My name is Kathy and I am from Harrison Twp. My experience with the staff, doctors, and the office has been very friendly, well organized, very knowledgeable, caring, beautiful and clean!! I started getting adjustments at Van Every after having my labral tear hip surgery and a complete hysterectomy because they took a huge toll on my body and mind. I have noticed that Chiropractic has improved my life by reducing pain, allowing for more range of movement. Other changes I have also noticed are that I feel stronger, more relaxed, depression has lifted, sinuses are better and I sleep a lot better!! It has also helped me with kayaking, walking, jogging, and with yoga. One thing I feel everyone should know about chiropractic is that it will change your life naturally, allowing you to get rid of pain medications!! My name is Renee and I am a patient at Van Every Chiropractic. Since I have been receiving adjustments, it has helped me sleep, I feel good and I stay healthy! I have noticed I sleep better, am more relaxed, and constipation has gotten better as well! It has helped me with running, walking and with stressful life situations. Every visit I have made, the staff has been awesome, I LOVE the doctors and the office itself is very welcoming and warm! Until you try Chiropractic, you truly do not know how much it can change your life in such a great healthy way!! Chiropractic care has helped me relieve pain without drugs by getting to the root cause of the symptoms instead of masking them with medication! It has made me more relaxed, improved digestion issues, I sleep better, have more mobility, and my TMJ has lessened!! The staff has been so helpful and friendly! The doctors are all FANTASTIC, and the office is clean, modern, and smells like a spa!!! You don’t have to live in pain or have any mobility limitations, so what are you waiting for?? Try Chiropractic today, I promise you won’t regret it! My name is Mateo and I am 11 years old. Since getting my adjustments, my allergies have gotten better! It has helped me become stronger and more relaxed too! The staff, doctors and office are AMAZING!!! Chiropractic helps a lot!! No Longer Need Pain Medication! My name is Stephanie, and Chiropractic has helped me tremendously with back pain. So much so , that I no longer need pain medication!! I have noticed it has made me stronger, more relaxed, less nervous, allergies/sinuses are better, I sleep better, dream more, am less constipated and my digestion has improved!! It has helped me to be able to lift things and play with my daughter more!! The staff is excellent! We joke and talk all of the time!! Very friendly!! The doctors are also Excellent!! Dr Ashley knows just how to adjust me!! And the office is Excellent! Very bright, clean and enjoyable!! Chiropractic really does make a difference!! I feel better after and I notice a difference on the days or weeks where I don’t get adjusted as much. Hello! My name is Christine and I am a patient at Van Every Chiropractic. Since receiving my adjustments, it has reduced headaches, and lessened my back pain. I have noticed that I feel stronger, less nervous, I sleep better, dream more, and focus better! Adjustments have helped me climb up and down stairs as well! My experience with the staff has been pleasant, helpful and funny! The doctors are wonder and would recommend all three of them all the time!! The office has a great location, is clean, bright and very welcoming!! KST is so much better than regular adjustments, it energizes you immediately!! My name is Timmy and I am 17 years old. Chiropractic has improved my life by giving me better posture. Van Every has been there for myself and my family when we have needed help in the past. It has helped with school/work as well as every day activities. The changes I have noticed are that I am more relaxed, depression has lifted, sinuses are better, allergies are better, I am less moody, less stressed and sleep better. The staff and doctors are AMAZING!!! And I LOVE the new renovations in the office!! One thing I would tell someone about Chiropractic is that it can help you more than you think!! It’s not just the back, but the entire body and your state of mind!! My name is Rowan, I am 7 years old from Royal Oak. Since getting my adjustments at Van Every, it has made me fell good! It helps me to sleep better and I have less stress. The staff is nice! The doctors are helpful and the office is fun!! One thing I would like someone to know about Chiropractic is that getting adjusted feels good! My name is Liam! Since getting my adjustments, Chiropractic has helped me sleep better! I have also noticed that it has made me stronger, more relaxed, manage my anger better, less stress, less moody, and my sinuses are better. The staff is fun! The doctors are nice and the office is relaxed!! One thing I can say about chiropractic that I would want someone else to know is don’t be scared!! One day a friend tagged me in a video from Van Every that featured a mom’s emotional testimony about how her son struggled with sensory processing and the success she saw after seeing Dr Saylor and Dr Ashley. I was very, very skeptical but desperate to find help for my son that I scheduled an appointment. I began trekking from Farmington Hills to Royal Oak in hopes that this would help my sweetest boy. Since beginning treatment he is COMPLETELY DIFFERENT. I am writing this with tears in my eyes because it it TRUE. I can hardly believe it myself but it has had such a positive impact in ALL of our lives. In the months of May and June I had NO problems with Nicholas at school. None. Your KST treatment has been a miracle for me! I cannot thank you all enough for treating me so respectfully and kindly. For the first time in more than 30 years, I feel like I am being taken seriously and I am not fearful of coming to see you. Within the first month of treatment I started sleeping deeply through the night, so soundly, I not only don’t hear a sound during the night, I am sleeping through the alarm in the morning. I have been suffering from an extremely long list of very painful and often scary symptoms, that not one medical doctor could find the cause for. I was always treated as the hysterical woman who was a hypochondriac. I have lost count of all of the medical tests, many invasive, that came back negative. Every time being told I was fine. Then why was I in pain with all these symptoms that could not be explained? Five years ago, our previous chiropractor told me to get an MRI of my neck, and finally I was diagnosed with spinal stenosis and basically having no discs in my neck between C5, C6, and C7. One of my root nerves, to my left arm, was so severely pinched they thought it may have been severed. I finally had the reasons for all the suffering. After surgery, I was told that my spine couldn’t tolerate the regular chiropractic adjusting anymore. The adjustments never seemed to really hold for me no matter how often I went. I was left to suffer and take drugs to mask all the symptoms and pain I still had. The dark circles and bags under my eyes (from years of no real sleep) are disappearing, the trouble swallowing, blurry vision, stomach problems, indigestion, constipation, headaches, head pain, neck pain, shoulder pain, lower back pain, the painful muscle tightness, leg pain, foot pain, hissing and ringing in my ears, numbness and too many more symptoms to list them all, have almost gone away. I know now, that soon, I will be basically symptom free. Never, ever, did I think that this was possible for me to have even one day with this much relief, let alone be symptom free every day. I am more grateful to Dr. Saylor and KST than I can ever express in words. I would scream it from the rooftops, how you and KST have helped me. Thank you from the bottom of my heart. I would highly recommend Dr. Anna Saylor to anyone who has had a hip and/or shoulder replacement. She specializes in the KST Technique where the doctor uses an adjusting instrument to correct the position of the bones, muscles, and ligaments. This technique has proven to be VERY successful for me and has improved my mobility, balance, and strength. This technique keeps my hips and lower back aligned due to the doctor’s order of very specific adjustments. She is compassionate and kind, and takes the time to listen to what the patient has to say. I cannot describe how great my experience with this doctor and her entire staff has been. Many thanks for all the great care! I was referred to Dr Anna M. Saylor at Van Every Family Chiropractic Center by a family friend. I am 9 years old and was having issues with sleeping/sleepovers due to school anxiety for 4 months prior to going to see Dr. Saylor. I continue to see Dr. Saylor every 2 weeks to keep my anxiety under control. I also play soccer and injured my knee the day before my first visit. She adjusted my knee and I haven’t had any issues with my knee since. I would highly recommend the Van Every Family Chiropractic Center center to everyone, they are a great group of people and an awesome team. I absolutely love going and getting adjusted. I am again enjoying things I gave up due to arthritis pain! Before I began chiropractic care, I was constantly seeing my general doctor and rheumatologist because of my arthritis, which was affecting my hands, knees and hips. I didn’t have much energy, and I felt like my quality of life was not what I wanted it to be. As soon as I began getting adjusted, I noticed small but steady improvement. The doctors and the entire staff have been so wonderful, so helpful, and so understanding of “the big picture” and have done everything they can to help me get my health back, and I couldn’t be more pleased! Thank you! Not one infection in over two years! I love the staff and the doctors at Van Every Family Chiropractic Center! I started coming and just bringing my two kids, at the time 2 and 7. The two year old had a history of ear infections. Since seeing the doctors and staff at Van Every Family Chiropractic Center, he has not had one infection and it has been over two years. Both suffered with allergies and constant runny noses every fall. They no longer have those issues either. I switched chiropractors for myself after seeing how progressive the doctors and the staff are in preventive measures for our overall health. I suffer from neck and back pain as well as arthritis in my knees. Dr. Saylor uses the Koren Specific Technique (KST) which has been a life saver for me. No hard manipulations. 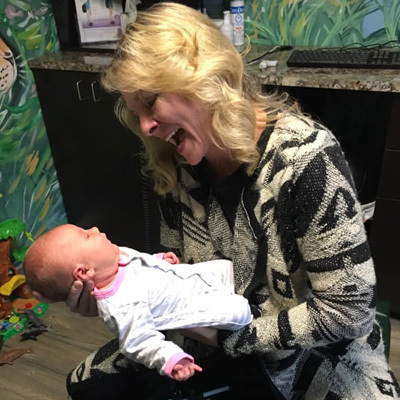 Van Every Family Chiropractic Center is truly a family friendly place! I’m a patient AND an employee! I’ve been a patient at Van Every Family Chiropractic Center since 2000 and an employee since 2005. When I had my son in May of 2007, I had to have a cesarean. The day after he was born, he was adjusted and continued to be adjusted on a consistent basis. He had a lot of digestive problems and we found out that he was allergic to milk, soy and wheat. I got him adjusted about 2 to 3 times a week and it made such a difference in his attitude, the colic stopped and made this digestive system regular. Aiden is now 2 years old and has NEVER had an ear infection. I believe it’s because he gets adjusted often. He still continues to get adjusted weekly with Dr. Saylor’s technique KST. It is a non-abrasive technique that Aiden loves. Dr. Saylor has been a lifesaver for me and my family! 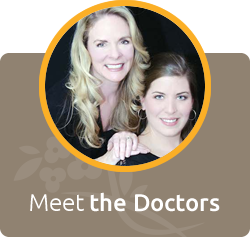 I found Van Every Family Chiropractic Center and Dr. Anna Saylor when I was pregnant with my first child in 2003. I was suffering from extreme back and leg pain and didn’t trust just anyone to work on me. The fact that she had extra training in children and maternity patients helped me make the decision to visit her and I did not regret it. My husband was involved in a car accident and suffers from leg pain, neuropathy, headaches, and chronic back pain. His visits to Van Every Family Chiropractic Center help him to deal with the day to day activities. Also when I get a migraine that will not go away, I know where to go and that is Van Every Family Chiropractic Center. I let them work on all of my family and have been very happy to refer them to friends and family. Everyone at Van Every Family Chiropractic Center is kind and understanding and they go out of their way to make you feel better. Even if I did not live in the Royal Oak area, I would drive to see Dr. Saylor and Van Every Family Chiropractic Center. See the great benefits of chiropractic care for yourself! Give us a call to get started.